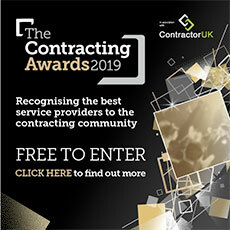 So despite taking the right steps at the right time, your contractor business has at least one invoice still outstanding, writes Sid Home, managing director of Safe Collections. It’s tempting but try not to take it personally - even if it’s a large sum on that one unsettled invoice. Research from NatWest and RBS shows that more than seven out of ten small and medium-sized companies have been hit by late payments over the past 12 months. Many organisations will use the services of a reputable recovery agency on an ad-hoc basis to deal with reluctant payers. In terms of cost, this is often the most effective option as many agencies will charge a fixed percentage of the debt when it is settled. If payment is not forthcoming an agency will usually have a relationship with a firm of litigation specialists who are able to continue the pursuit into the realms of the courts. Additionally a debt collection agency (DCA) will have the experience and procedures in place to rapidly escalate your claim for payment and will be able to advise you on the best way to approach the recovery. Typically you will not be expected to pay for the time spent in recovery, as many agencies offer a ‘no collection, no commission’ service. But as with any supplier you must investigate any potential debt recovery agency prior to instruction, as a small number of rogue recovery agencies operate in the UK. Be very wary of any agency that requests payment of significant fees in advance, or asks to be paid a membership or debt placement fee. Be sure to avoid any agency that has any CCJ’s registered against it and always ensure the agency holds the appropriate license from the Office of Fair Trading. And be sure to consider those which are endorsed by a professional group or accredited body. If in doubt treat a potential supplier the same as a potential customer, so run due diligence tests and thoroughly investigate any references and licenses held. A good agency will not alienate your customers – they may even help you to retain them. Many businesses will choose to immediately engage the services of a solicitor should they have issues with late payment. Most solicitors will only send a single Letter Before Action (LBA) at a fixed cost and then suggest the issuing of proceedings against the debtor company in court. Once judgment is awarded, the solicitor will continue to attempt to secure payment of the judgment by the debtor. The major downside to using a solicitor in this way is purely and simply the cost involved. Many solicitors will expect to be paid for their time in dealing with the case irrespective of if the amount is collected or not. Plus, if a defence is submitted on behalf of the debtor company you can expect to pay, again by the hour, for the solicitor to refute this defence. Once judgment is secured an experienced litigation solicitor will be able to advise your organisation on the best way to proceed with enforcement, as simply gaining judgment is often still not enough to bring forth payment of monies owed. Contractors must also bear in mind that the issuing of proceedings to collect funds is often considered to be the final option in recovery. In our experience, suing a customer, for whatever reason, will irrevocably damage if not completely terminate the business relationship. A debtor may pay on receipt of the LBA avoiding legal proceedings. Court costs are fixed and recoverable from the debtor, if the debtor pays. Experienced counsel will be able to advise on the best method of enforcement. The final option for recovery is to issue proceedings without a solicitor. With the advent of Money Claim Online, access to the courts has never been easier and you can now issue proceedings within a few mouse clicks made at home. The obvious advantage is the avoidance of extra legal fees and complete control over the costs. But the snag is the lack of guidance that you would have should a defence be received, or should the judgment not be paid as directed by the court. Additionally you must weigh up the unseen costs of this so-called ‘in-house’ litigation. This is especially vital for independent contractors and freelancers. If they spend time in litigation, the time such one-person businesses can devote to existing paying customers and potential new clients will suffer. Moreover, securing judgement can often be the easiest part of the recovery because if the debtor ignores the directions of the court, it will be down to YOU to decide on the best way to proceed. Will you use a Bailiff or a High Court Enforcement Officer? Will you seek a charging order or potentially pursue an oral examination by the court? Different situations will require radically different approaches. If you issue proceedings in-house you will need to be prepared to research and fund any potential course of action without the aid of expert guidance. The advantages of this option are, well, the only one is you impress your client with the ability to give them an interest free loan for the period your invoices are outstanding. They may well thank you for your generosity and kindness, but don’t hold your breath. It is far more likely they will simply continue to enjoy the extra funds in their cash flow at your expense. Remember: a contractor’s clients are hard won and easily lost but you must never be afraid to pursue the payment for your services. Those ‘professionals’ who are unconvinced just need to do the maths. If you write off £10,000, for example, and your profit margin is, say, 10% you will need to raise further sales equal to £100,000, just to break even.